1.2 Where Can A Lift Be Installed? 1.3 Who Can Stairlifts Be Helpful For? 1.4 What Could A Stairlift Cost? Birmingham Stairlifts Supplier – Castle Comfort has many years of expertise and experience from working in the stairlifts industry. Established in the West Midlands we started our business two decades ago by helping our own families. Now we can help you and yours. For a fast free quotation or a no obligation chat about the options available to you then please call us on 0121 371 0123 or go to our contact page and send in the short form. Our firm was featured by BBC News West Midlands when we came to the aid of an elderly couple living close to Birmingham who had been told they had to wait before they could have a stairlift. We acted quickly and got them a reliable stair lift to help them with going upstairs to bed, which until then was proving very difficult for them to manage. See our reviews page to watch the short film. Where Can A Lift Be Installed? Your stair lift is most often installed inside the home to maintain continued use of the bathroom or the bedroom upstairs. Although we can also put in an outdoor lift as well, if you want to still access the garden, garage or parking space, if it is on a slope, has a steep drive or has steps. The only minimum requirements for your stairlift installation is that there is a gap across the stairs of at least twenty seven inches which is really quite a narrow gap. If your staircase has spiral stairs or otherwise has curves and bends in it then it will need to be a couple of inches wider, so as to allow turning space on the bends. If you are not sure then simply call us on Birmingham 0121 371 0123 and we can arrange a no-obligation site visit to measure them and leave you with a written quotation which will be specific to your needs and the dimensions of your staircase. If you have concerns about a doorway at the bottom or top of the stairs then the rail can be fitted so that it is flush with the top step, and also for the bottom of the stairs a hinged track can be added which folds away and ensures that no doorways are obstructed when the stair lift is not in use. Who Can Stairlifts Be Helpful For? All sorts of people nowadays have benefited from their stairlifts installation. 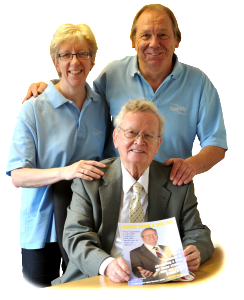 A list of our most recent clients include people living all over Birmingham in Edgbaston, Erdington, Hall Green, Hodge Hill, Ladywood, Northfield, Perry Barr, Selly Oak, Sutton Coldfield and Yardley and have been for straight stairlifts as well as curved models. The reasons to be looking for a stairlift are as unique as each stairlift installation, but a lack of strength or mobility on the stairs could be a risk for falls. So the main reason is to be a lot safer navigating the staircase at home and inevitably makes peoples families feel more at ease too, as the worry diminishes and what could be a painful struggle becomes virtually effortless. What Could A Stairlift Cost? A straight set of stairs without any obstructions in terms of doorways, and so not needing an adjusting hinge on the track, could be set up with a stairlift for around £995 for a refurbished design. We would have to see the property to be sure that the lift would suit the staircase and that it would be appropriate for the person who would be using it. A free survey can be arranged at your convenience. Why not call us on 0121 371 0123. A run of stairs that has a turn or bend in them would require a curved stairlift and so the cost would be higher, as it requires a custom fabricated rail to suit the individual line of the stairway. For this reason the stair lifts start at approximately £2,500, again for reconditioned, but a free no-obligation survey will confirm a price for you, and get the right measurements for seat height and weight etc from the user who will be needing it. We specialise in dealing with UK stairlift manufacturers that produce modern designs of lifts for the home. Some cheaper firms are still installing reconditioned stairlifts from out of date suppliers like Liftable that no longer have spare parts availability and have now ceased trading. Those lifts would not be economical in the long run as you would need to buy another entire stairlift again or risk a botched repair if it were to go wrong. Working as long as we have in the stairlift marketplace we have seen many lift companies come and go, but the top three main UK specialists are listed here, and are the most well known and well regarded. Though they originally all started in Great Britain they also are now international companies having expanded their operations worldwide. This shows that you are dealing with an experienced and long-standing supplier that has reliability built in. Stannah are the most recognised brand name in the business and are still owned by the same family that started the firm in the 1860’s. Their range offers quality traditional and more contemporary designs in a wide range of colours and styles from the fully uphostered high back Sofia model, to the modern and award winning Solus stairlift, both offering up to twelve different coloured upholsteries, in leather, fabric or vinyl. There is also their value lift model, the Siena which is available in six colours of vinyl. For stairs with bends they produce the Siena as a curved model too, and a premium curved model called the Starla which has wood trim as an option on the seat and looks really classy. They also have a perched model available and is specifically designed for curved rails called the Sadler, on which the user doesn’t need to sit fully down by bending the knees, but instead just perches on the seat. This helps it to accomodate narrow curved stairwells which would be impossible on a standard seated lift. 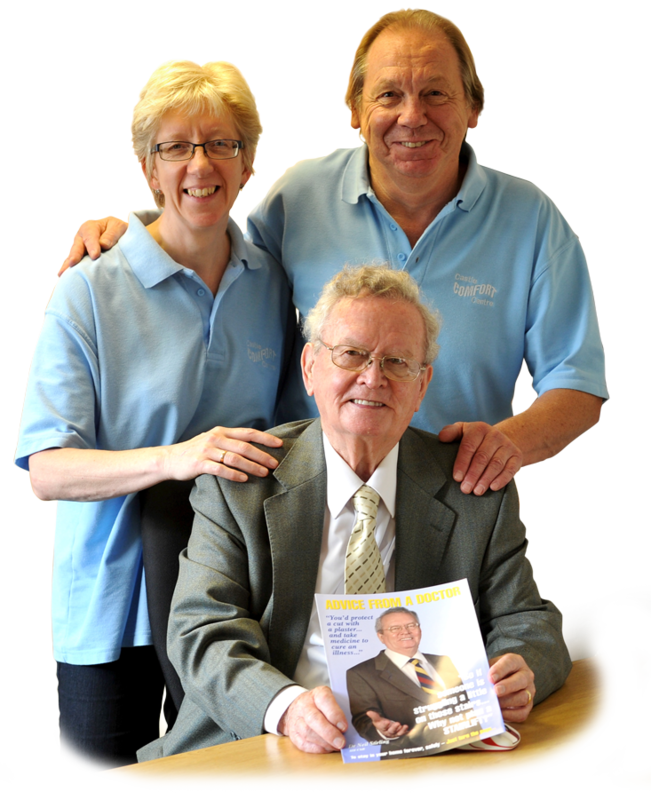 Acorn have grown from their start in the 1992 to be a world-wide stairlifts specialist. Their models vary from a low-priced vinyl seat model called the Slimline 130 to a perched and fast-fit curved 180 model that is the quickest way to secure a stairlift for a set of turns in the stairs, without waiting for weeks for the custom fabrication of the rail. Like Stannah they also provide an outdoor model, which is based on the straight Acorn 130 version. Having a vanilla/magnolia colour to the soft padded seat it can fit into virtually every home in an unobtrusive manner. These stairlifts, which are marketed in a joint partnership with AGE UK, are manufactured in the West Midlands and are owned by the European Handicare group who also manufacture walking aids, wheelchairs, lifting aids and bathroom accessories for the less mobile. The range of lifts starts with the Simplicity model for straight stairs and is a manual swivel and has a manual footplate. If a powered swivel is required the Simplicity + is the right model to choose. Next comes the Minivator 1000 models, available for indoor or outdoor installation they have the narrowest track on the market and so are good when the stairs are quite narrow. An XXXL version of this lift is available to accomodate heavier customers and is rated up to 200 kg.